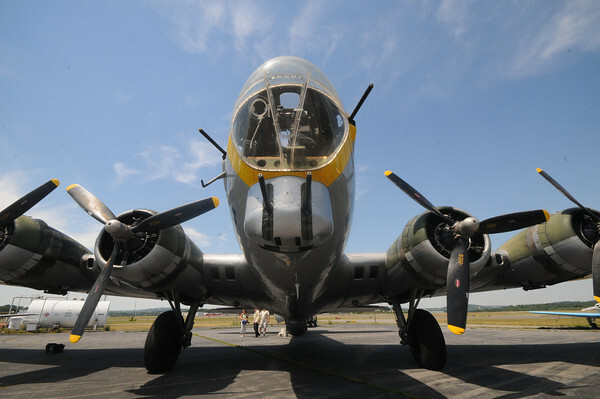 lawrence:The Liberty Belle a restored wartime Boeing B-17 Flying Fortress aircraft will be flying over the Merrimack Valley this weekend , taking off from Lawrence Municipal Airport,the public is invited view the plane and book a ride. Those interested in taking a ride to the Gloucester coast and back Saturday and Sunday for $430 per person ($395 for Liberty Foundation members). are encouraged to call 918-340-0243, or visit their website http://www.libertyfoundation.org.